Brad Wheal is a right-handed batsman and right-arm pace bowler. He was born in Durban, South Africa but holds a British passport and has recently moved to England, having been spotted by Dale Benkenstein, formerly Hampshire’s head coach. The 18-year-old’s talent and potential was identified whilst playing for his home-town side and the promising youngster was offered a development contract for the 2015 season. It didn’t take long for Brad for make an impression as part of the Hampshire Second XI, before making his full debut that same year. Wheal went on to make three more first-team appearances in 2015, taking best figures of 4-101 against Middlesex at Lord’s in June. His promising ability with the ball didn’t go unnoticed at a national level with Wheal picking up five wickets on his debut for Scotland A during their friendly against the MCC in August. 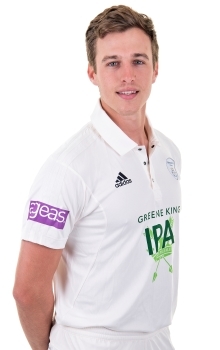 Having signed two-year deal at the end of the 2015 season, Wheal made key contributions with the ball in One-Day and Championship cricket for Hampshire during the 2016 summer, taking a career-best 6-51 in a crucial victory against Nottinghamshire as the team fought to stay in Division One. Brad's highlight of the 2016 season was undoubtedly clinching a last-ball El Clasicoast win at Hove in July, when Hampshire defeated local rivals Sussex Sharks by a single run as Wheal prevented the home side from hitting five off the final over. Wheal started 2017 off with Scotland in the United Arab Emirates taking part in the UAE Tri-Series and Desert Twenty20, gaining valuable international and overseas experience. The British summer saw Brad represent both Hampshire's First and Second XIs, notably reaching the Second XI Championship Final against Lancashire. 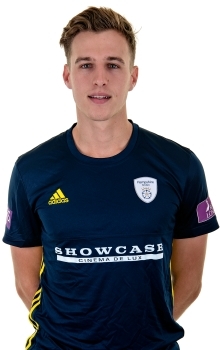 Upon returning to England, Brad bounced into the 2018 County season with much promise as he was selected as a starting First XI seam bowler, predominantly for Hampshire's Specsavers County Championship side, whilst representing the County for one Royal London One-Day Cup fixture against Essex. Brad's season was cut short towards the end of May in 2018 as he fell victim to a stress fracture in his spine. The pace-bowler is anticipated to return to full fitness with Hampshire for 2019.